Texas Instruments (TI) has introduced three new digital-input Class-D audio amplifiers that enable engineers to deliver high-resolution audio in more smart-home and voice-enabled applications. By combining first-of-its-kind integration, real-time protection and new modulation schemes, TI’s new audio devices allow designers to reduce board space and overall bill of material (BOM) cost. These new amplifiers are designed for personal electronics applications with any power level, including smart speakers, sound bars, TVs, notebooks, projectors and Internet-of-Things (IoT) applications. 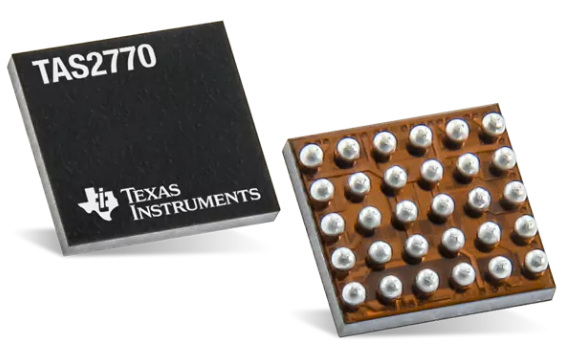 TAS2770 15-W audio amplifier: Claimed by TI to be the first wide-supply I/V sense amplifier, the TAS2770 (shown) offers state-of-the art, real-time speaker protection when paired with TI Smart Amp algorithms. The amplifier monitors loudspeaker behavior and increases loudness while improving audio quality in applications requiring small speakers. The TAS2770 is an audio front end (AFE) that combines a digital microphone input with a powerful I/V sense amplifier. The device captures voice and ambient acoustic information for echo cancellation or noise reduction in voice-enabled applications. The TAS2770 monitors battery voltage and automatically decreases gain when audio signals exceed a set threshold, helping designers avoid clipping and extend playback time through end-of-charge battery conditions without degrading sound quality. TAS5825M audio amplifier: Designers can achieve high-resolution audio with minimal engineering effort due to the device’s 192-kHz input sampling frequency and flexible, integrated processing flows. Additionally, the TAS5825M provides bass enhancement and thermal protection for the speaker. The TAS5825M’s dedicated serial audio interface data output provides ambient sound information to the applications processor. Engineers can reduce idle-power losses and thermal dissipation without degrading sound quality with the TAS5825M’s proprietary hybrid-mode modulation scheme. TAS3251 audio amplifier: TI says the TAS3251 is the first integrated digital-input solution to support the highest output power and performance at 2x 175 W, all in one single package. You can enable up to 96-kHz flexible processing and self-protection features including cycle-by-cycle current limit and DC speaker protection with the TAS3251. Designers can use TI’s PurePath Console software to easily configure the TAS2770, TAS5825M and TAS3251 Class-D audio amplifiers. Engineers can jump-start their design with the TAS2770 Stereo Audio Subsystem Reference Design. Additional resources and reference designs are available to help engineers with their smart speaker designs. The TAS2770 Class-D audio amplifier is now available in volume quantities through the TI store and authorized distributors. Additionally, preproduction samples of the TAS5825M are now available through the TI store. The TAS3251EVM evaluation module is available today through the TI store and authorized distributors, and production quantities of the TAS3251 amplifier will be available in 2Q 2018. 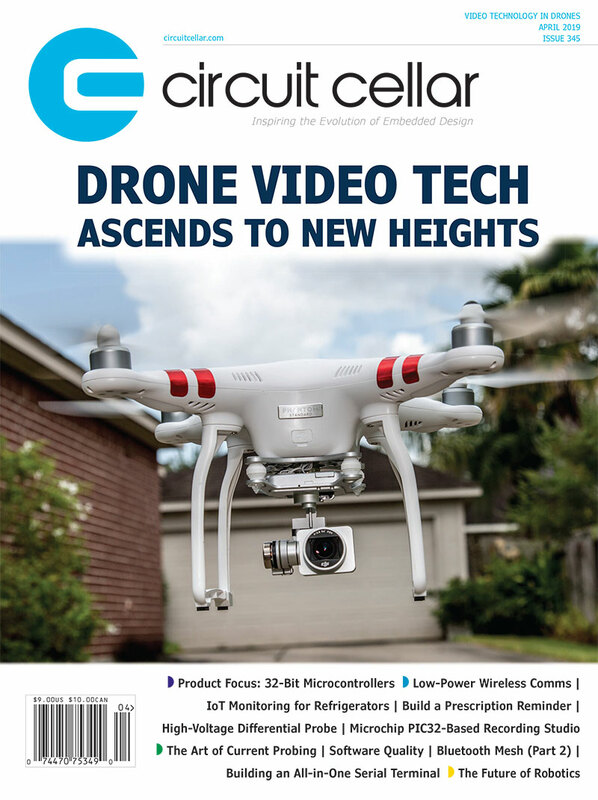 This entry was posted in Industry & Enterprise, Product News and tagged audio amplifiers, IoT, modulation, sense amplifier, smart home, speakers by Circuit Cellar Staff.